Anson Bn. Royal Naval Division, Royal Naval Volunteer Reserve. 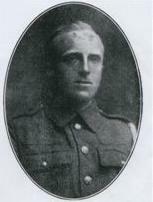 20th October 1918, aged 29. Son of the late Hiram and Jane Smith, of Burnley; husband of Annie Smith, of 45, Belgrave St., Nelson, Lancs. 25th Montgomeryshire and Welsh Horse Yeomanry Bn. Royal Welsh Fusiliers. Son of Mr. and Mrs. Robert Smith, of Hopton Heath, Aston-on-Clun, Salop. 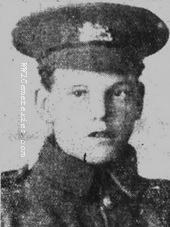 1st September 1918, aged 21. Son of Frederick and Mary Smith, of 32, Roundstone St., Trowbridge, Wilts. 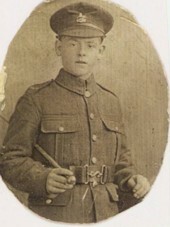 21st August 1918, aged 18. Son of Mr and Mrs William Smith, 65 Nesfield St. Anfield, Liverpool. 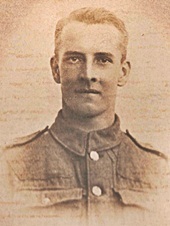 8th October 1918, aged 23. Son of Sam Thomas Symonds and Kezia Symonds, of 5, Pretoria Cottages, Ditton Walk, Cambridge. 10th August 1918, aged 34. 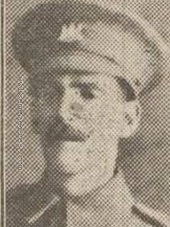 Son of James John and Frances Tapper, of Holbeck St., Burnley; husband of Ethel King (formerly Tapper), of 5, Escott St., Burnley. 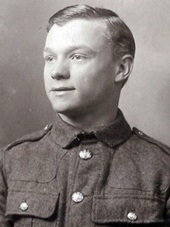 6th October 1918, aged 21. 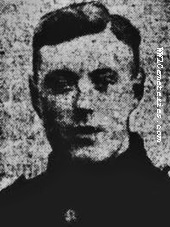 Son of Robert William and Emma Tate, of 111, Spencer St., Heaton, Newcastle-on-Tyne, he was born 16-Sep-1897. 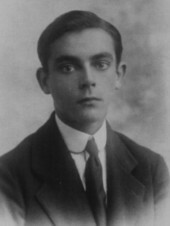 He enlisted in 1915. 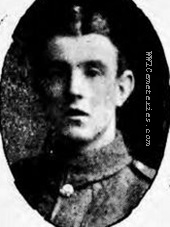 Killed in Action on 1st October 1918. Birth place Stockend, Harescombe GLOS. Enlistment place ROSS. 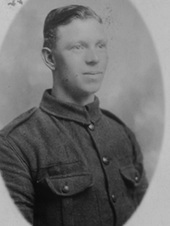 formerly : Private Joseph Tranter ASC Rn S/368331 and Private 45288 South Lancashire Regiment. Son of Henry and Adelaide Tranter (nee Brooks) 27 Adelaide St Gloucester. 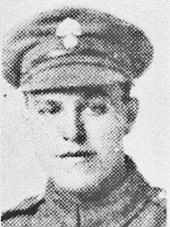 His younger brother Private 4235 Henry Isaac Tranter 1/5th Gloucester Regiment died of wounds on 28th August 1916 and is buried in Blighty Valley Cemetery, Somme, France. 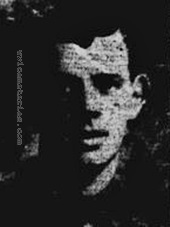 Son of Mr. and Mrs. R. W. Whitaker, of "Brookfield," 114, Wigan Rd., Ashton-in-Makerfield, Wigan. 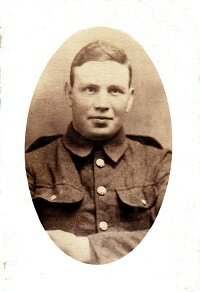 Son of George and Rhoda Wilkin of 7, Dordans Road, Leagrave, Luton. Beds. 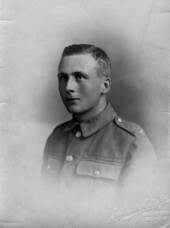 James Norman Williams, D. C. M., M. M.
5th October 1918, aged 21. 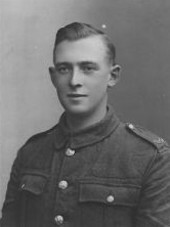 Son of Mr. and Mrs. J. Williams, of 28, Grandidge Terrace, Rochdale. "For conspicuous gallantry and devotion to duty in reconnoitring for and taking part in a daylight raid in full view of enemy's lines, and by skilful bombing holding back an enemy party until his own got clear." Son of Mrs. Jane Woodcock, of 96, Morgan St., Canning Town, London. 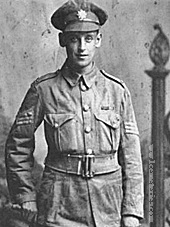 14th September 1918, aged 20. 8th August 1918, aged 38. Son of William and Hannah Young; husband of Elizabeth Young, of 2, Davis's Place, Morford St., Bath.